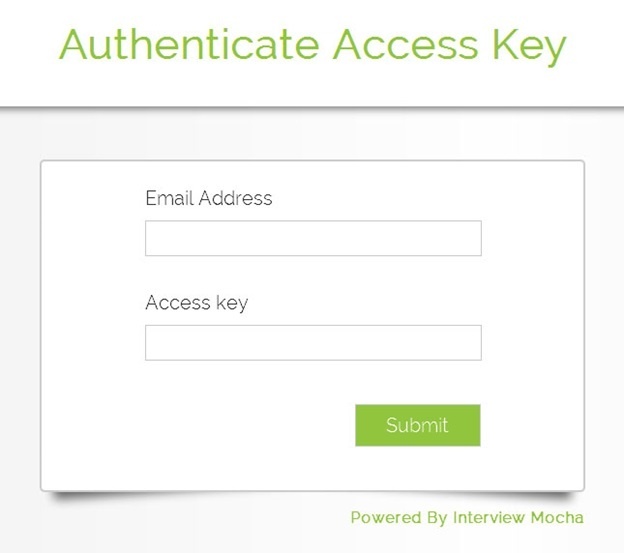 1) The Candidate receives a mail which provides him the access key, a link, and all the instructions to attempt the test. 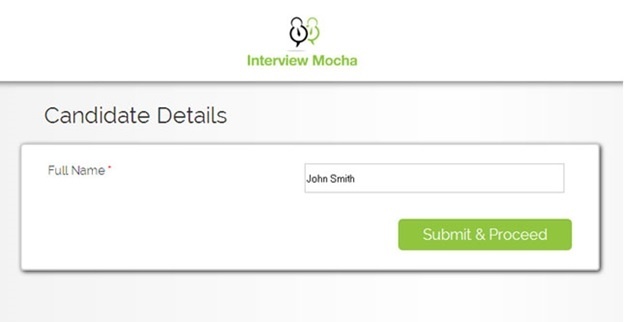 2) By clicking on the link - test.interviewmocha.com, the candidate is directed towards the following authentication page. 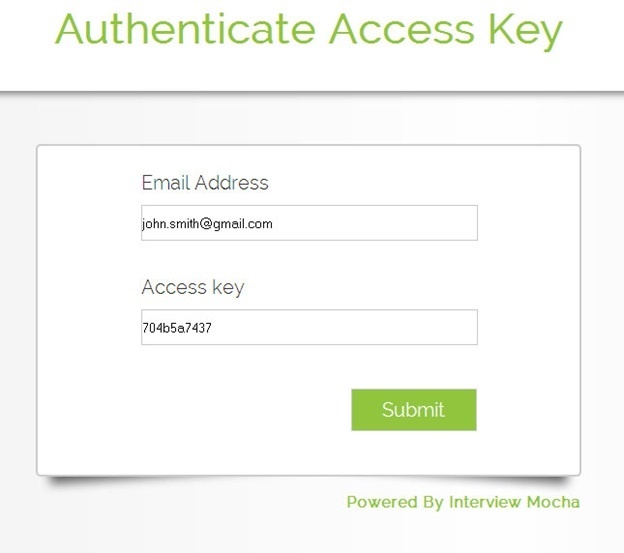 3) Once the authentication page appears, the candidate needs to enter his own Email Address and the Access Key provided him in the mail and then submit. 4) Further, the candidate needs to fill in his details. 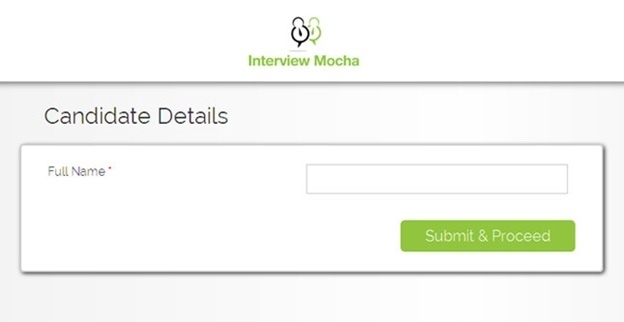 5) Once the candidate fills in his details then he needs to submit and proceed. 6) He will be directed towards a new screen wherein instructions will appear in front of him, once he is done with reading the instructions then he should click on the 'Start' button. 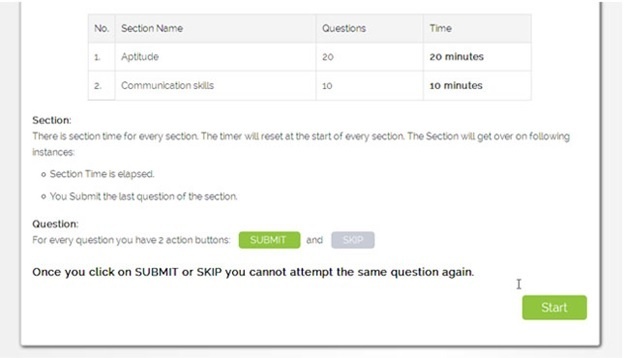 7) A message will appear on the screen wherein the instructions regarding the type of questions in the test will be informed and the candidate needs to click on 'OK' button. 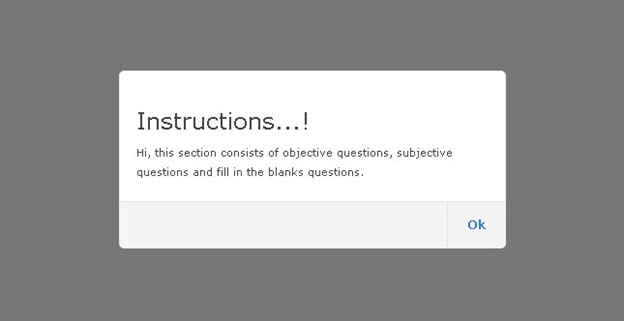 8) As soon as the candidate will click on the 'OK' button the test will start. 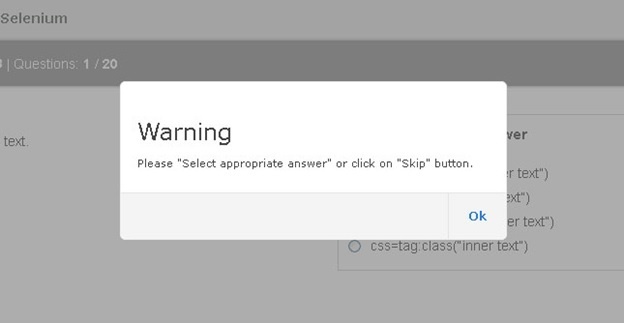 9) While attempting a particular question, the candidate is supposed to select an answer and click on the 'Submit' button and if he tries to submit a question without an answer the following message will appear. 10) If a candidate wishes to skip the question where he is not sure about the answer then he can simply click on the 'Skip' button. 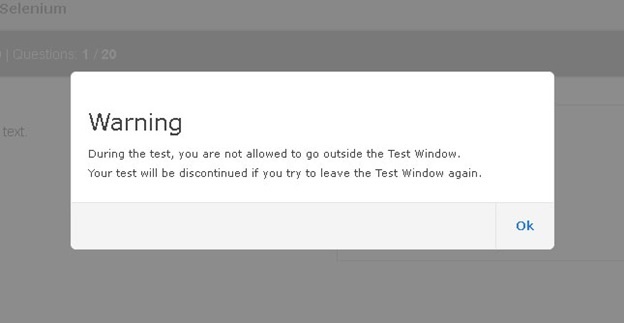 11) While attempting the test the candidate is not allowed to leave the test window and if does the following warning will appear. 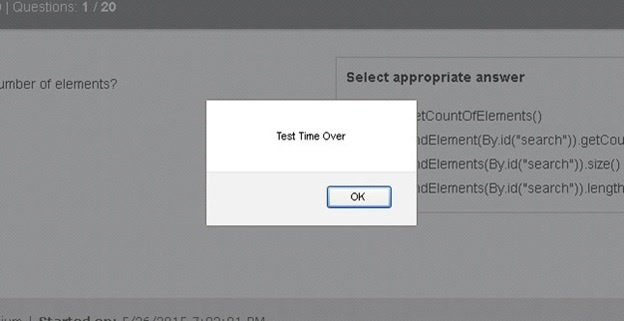 12) A warning message will appear on the screen if the time to complete the test is less than two minutes. 13) If the candidate is unsuccessful in completing the test on time then the test page will be closed and the following message will appear. 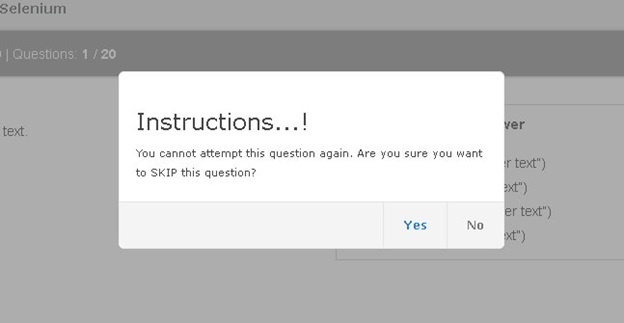 14) As soon as the candidate will click on the 'OK' button, the answers of the attempted questions will be saved and the following message will appear. 15) Once the candidate is successful in answering all the answers and completes the test properly, the following message will appear.